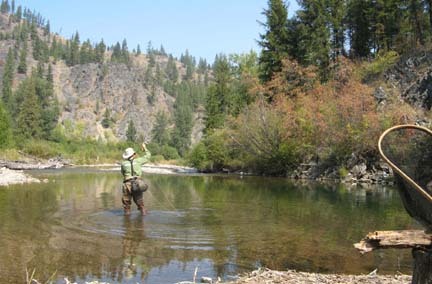 This September we offer you the chance to fish the streams which Lewis and Clark first explored in their search for the northwest passage. 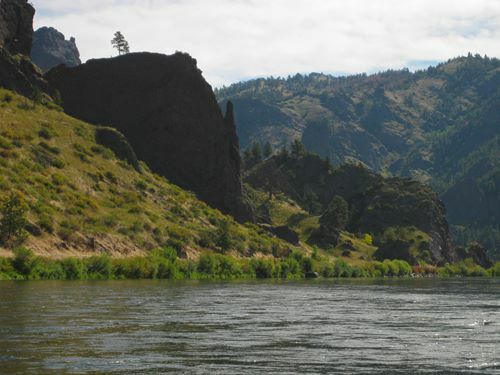 We will enjoy a variety of rivers, starting with the Missouri and progressing gradually to Blackfoot, the Clark Fork near Missoula and major tributaries of the Clark Fork. 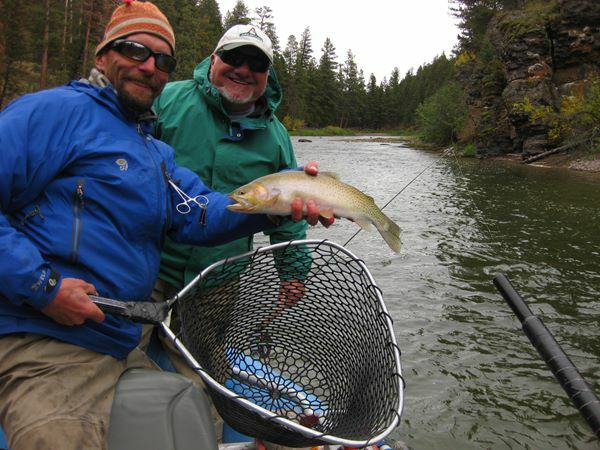 By going in September we allow the summer crowds to thin out, while the fish are usually quite active and offer chances on dry flies as well as subsurface fare. 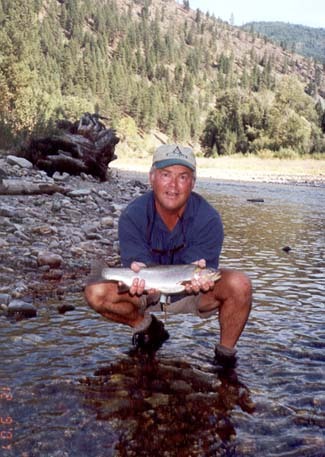 I fished these rivers each September from 2001 - 2010 with my friend Flip Jennings, and usually with his brother-in-law Eddie Myers, pictured below. 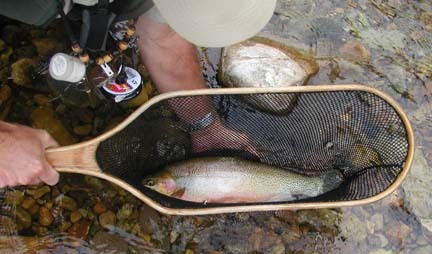 Our trip will start in the Great Falls area floating the Missouri River, home of big browns and rainbows. 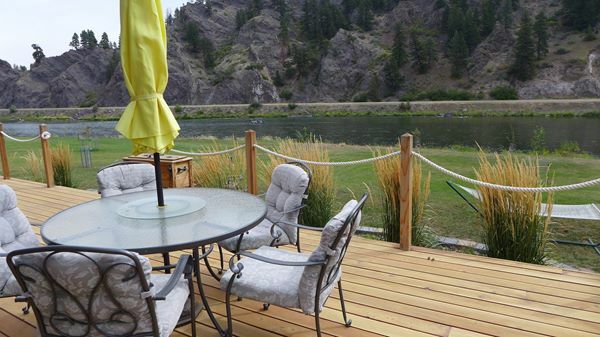 We will be staying overnight at a house or cabin setup near Craig along the Missouri River. 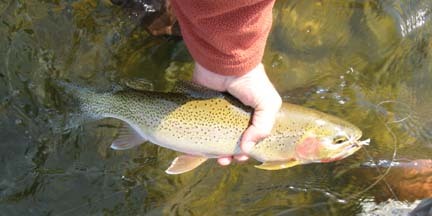 In our pursuit of rainbows and browns we will be float fishing with experienced guides who know the Missouri well. If you like what you see, let me know of your interest ASAP, as the guides in this area have a fairly short season and need to know our headcount sooner versus later. 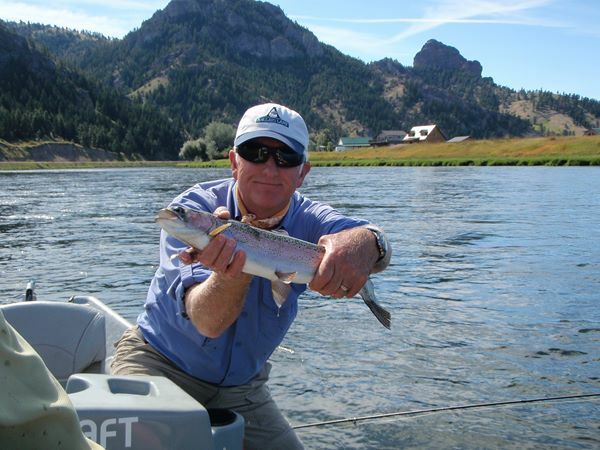 Unlike last year the guides and lodging owners tell me that the slots are filling up fast and I do believe it because we are noticing considerably more travel plans on the apart of our guide clients so far this year. 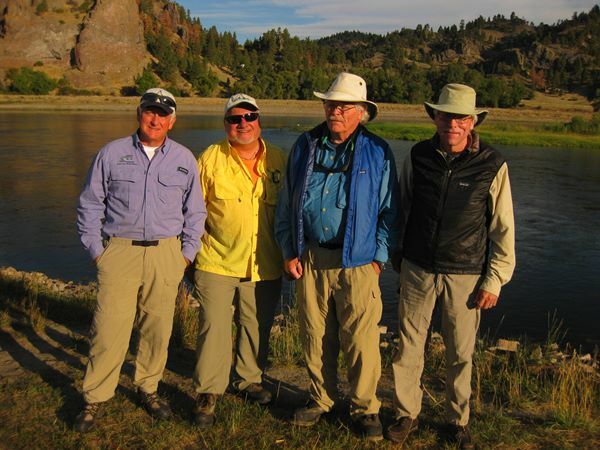 Wed September 6 – Fly into Great Falls or Missoula from various origins. (We will pick choice soon so don't lock in flight yet until we set choice unless you have your own transportation.) Spend first night near the Missouri River Craig / Cascade area. 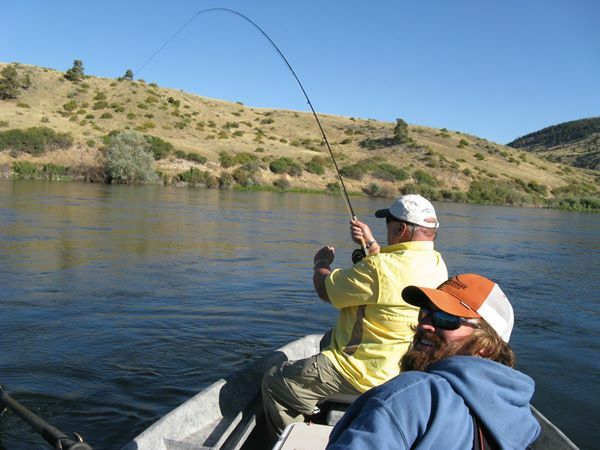 Thurs September 7 - Sat September 9 – Float fish various stretches of the Missouri River with guides, two per boat. Certainly float near Cascade, possibly one day from Dam to Craig. 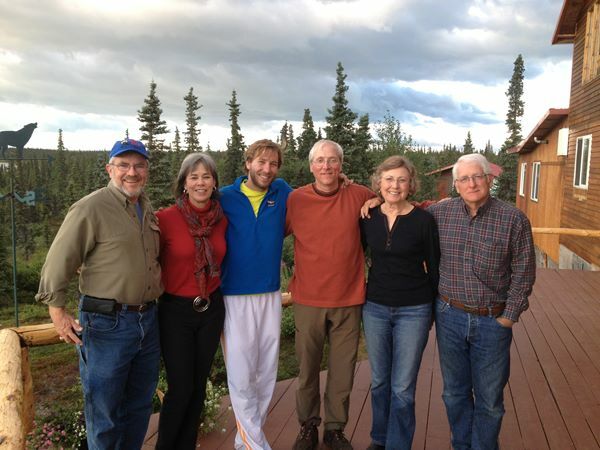 Stay in a local house or cabin setup in the Craig area--same cabin as Wed night. 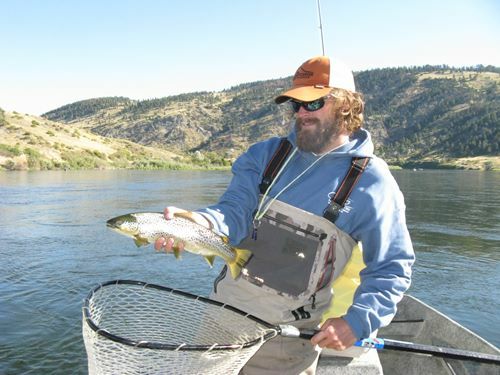 Mon Sep 11 - Thurs September 14 – Float fish with guides on the Blackfoot, Clark Fork Rivers. Possibly Bitterroot as well. 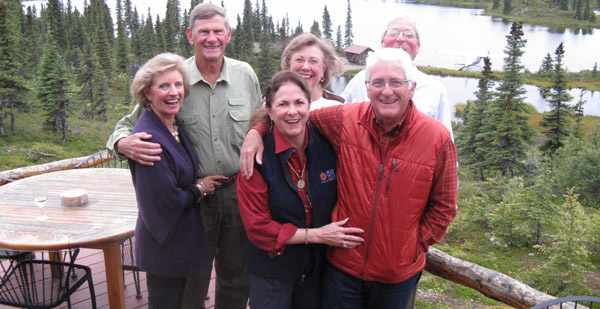 One guided walk & wade day on Rock Creek. 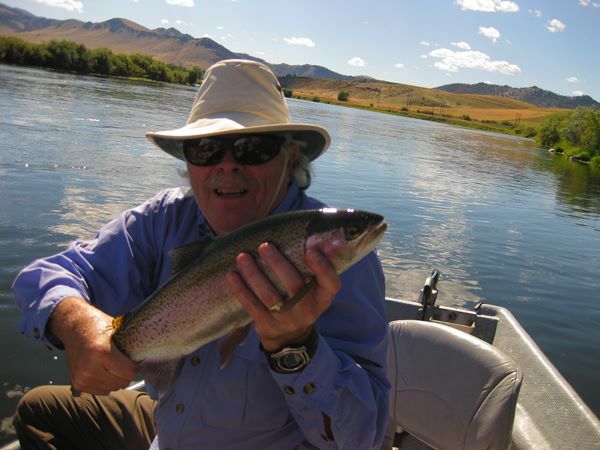 Thurs September 14 evening – On your own Missoula area or catch flights back home. If there is a group consensus we can stay overnight in Missoula area. Deposit $2000 reserves your spot (Payable to Anglers Lane PO Box 1265 Forest, VA 24551) due upon commitment. Included: Lodging and meals from Sep 6 dinner through Lunch Sep 14. 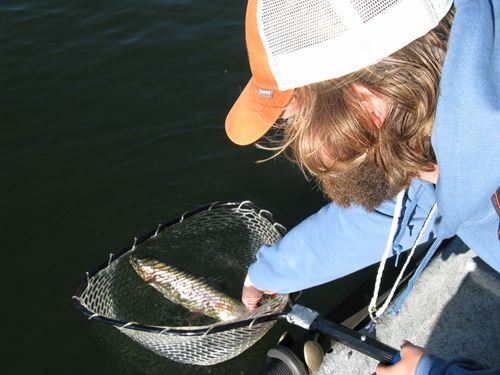 All guided fishing trips. Transfers to & from airport. Not included: Airfare; Gratuities for guides; alcoholic beverages; fishing licenses. Big Missouri R near Cascade! 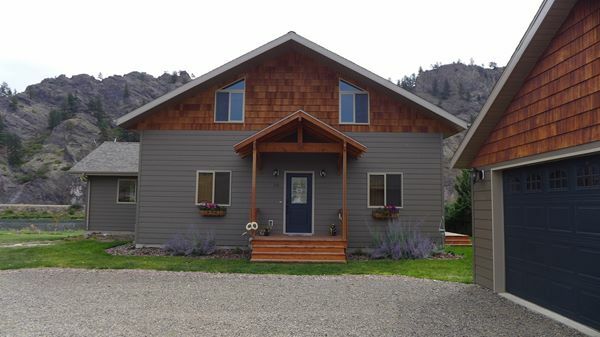 Lodging at Seeley (near Missoula-Blackfoot): This Cottage the Double Arrow handles 8: A Full Size Four Bedroom Lodge with Kitchen, Living Room & Fireplace. Each Bedroom Has a Tub & Shower. Each Bedroom Has the Option of Two Twins or One King. Additional 1/2 Bath off Living Room. 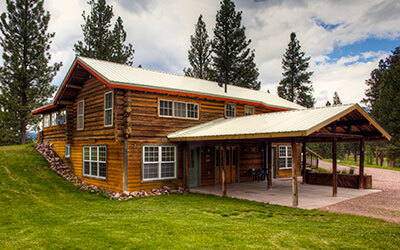 Lodge is only 200 yards from Double Arrows mountain bar-restaurant which offers wonderful game and other fare for meals.